This baby is my “HALLELUJAH” essential oil (ok maybe after lavender). S P R U C E : Spruce is found to ground the body and balance our ability to give and receive. Its herbaceous scent helps expand the bronchials to deepen breathing and release tension or emotional blocks that may reside in the throat, jaw and chest. H O W O O D : Ho Wood is slowly taking the place of Rosewood. Rosewood is becoming endangered and so good companies are choosing to remove it from their blends. It is very similar in composition, just simply more sustainable. Ho wood is a powerful sedative, offering grounding and calming effects on the nervous system and emotions. F R A N K I N C E N S E : This oil has been used for centuries in physical and emotional healing. It contains sesquiterpenes, which oxygenate the pineal and pituitary gland, passing the blood brain barrier to promote brain health. It strengthens skin and nails and promotes cellular regeneration to prevent the appearance of aging. It also balances mood and strengthens a person’s spiritual connection and sense of understanding. B L U E T A N S Y : This is a detoxifying oil, thought to help detoxify the liver and lymphatic system, which is closely related to the emotions of anger and depression. The mind-body connection allows this oil to aid in promoting self-control and well-being. B L U E C H A M O M I L E : A calming and sedative oil, Blue Chamomile has also shown properties of being pain-relieving and anti-inflammatory, which helps when dealing with stress, joint support and muscle health. Below I’ve posted 2 images. The first is an unhealthy red blood cell shot taken by dark field microscopy. You don’t need to be a blood doctor to recognise there is something not right with these blood cells. There are capillaries in the body so small that only one blood cell can pass through at a time. 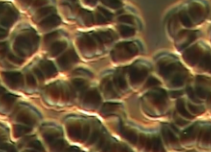 These red blood cells pictured are going to have a hard time passing through those areas of the body. The same individual, after they had their blood taken put one drop of Balance essential oil on the bottom of their left foot and waited 30 seconds. After this half a minute passed, they took another blood sample and the bottom image is the result. The red blood cells are full, individual and free-flowing. Sometimes people say I’m not sure the oils are really helping me, you don’t always feel things happening in your body but it doesn’t mean somethings not going on. 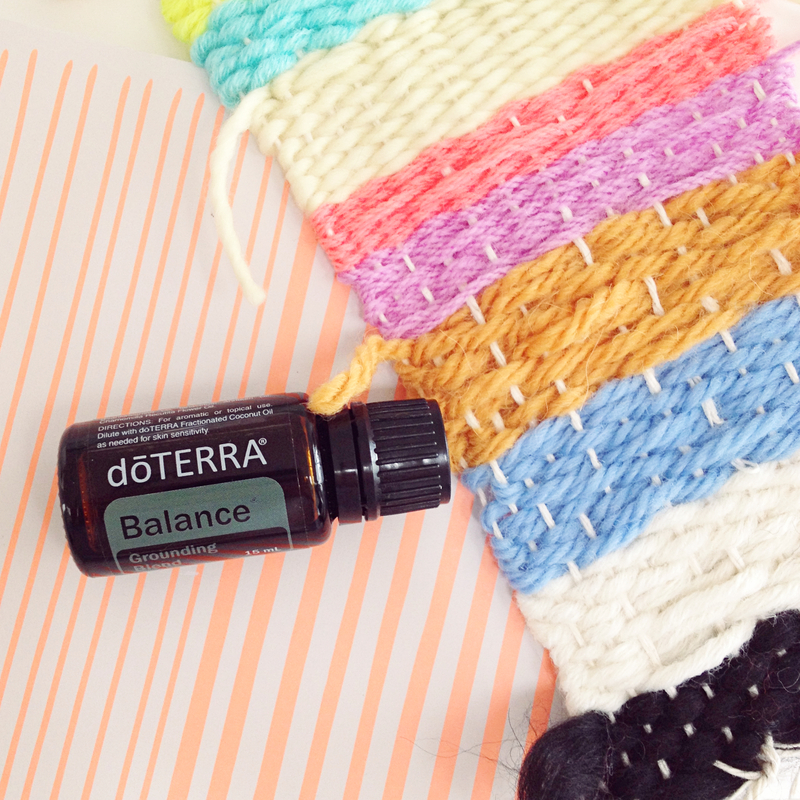 The warm, sweet, woody yet fresh aroma of balance brings on feelings of calm and well-being. It can be applied topically and diffused aromatically. I’ve even worn it as perfume. I apply balance to the back of my neck and wrists every morning as soon as I come downstairs to start the day. It’s also diffused 3 or 4 times a week to tame bad moods. I tend to get stressed out about things easily so it’s been a must-have oil for me, I feel settled within minutes of application. It’s also good mixed with wild orange if you don’t have a tantie tamer roller bottle blend handy when the babes are not feeling it, totally safe for the little ones if applied with a little carrier oil. Here’s a short video on how dōTERRA is helping others around the world. It’s called Co-Impact Sourcing.